Arguments in favor of increasing federal and state minimum wages often hinge on a belief that minimum wage employees are dependent on these government policies to receive a wage increase. Policymakers often believe that these employees receive raises only when the minimum wage is increased implying a notion that these individuals are unable to increase their skill level and corresponding wages without the government's assistance. In this study, Drs. 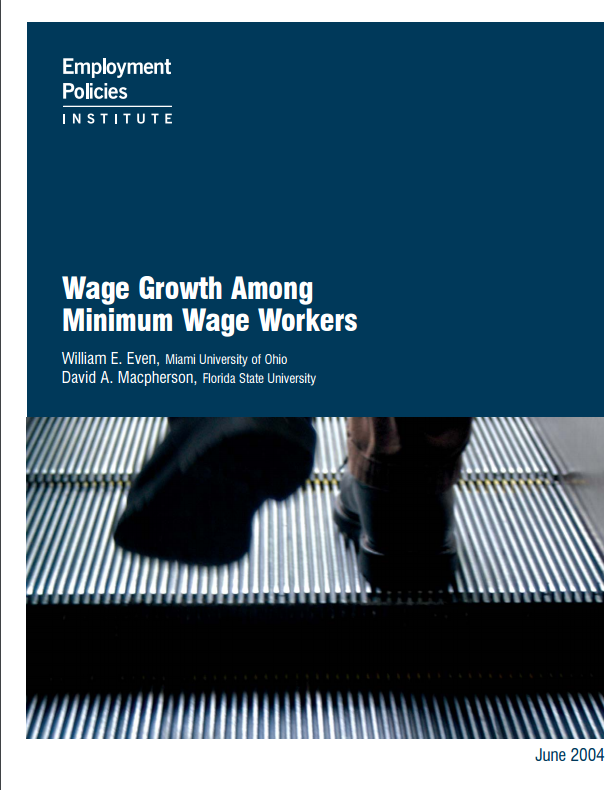 William Even and David Macpherson of Miami University of Ohio and Florida State University, respectively, show that wage growth among minimum wage employees is actually quite robust. Using over two decades of Current Population Survey (CPS) data, these authors dispel the notion that minimum wage employees are dependent on government policies to increase their wages. The authors also examine the factors that lead to wage growth and find that higher education and job training along with a strong labor market are significant contributing factors.